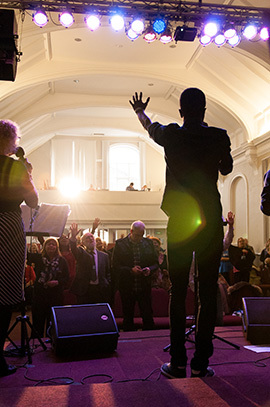 Shoreline Worship is the music ministry within the church, whose main function is to lead the worship on a Sunday morning, through powerful and uplifting praise. It also plays an important role in our daily walk with God, and we are privileged to have gifted musicians and singers to help us in this area. The bible talks a lot about how important music is to God, so our aim as always is to allow musicians and singers to pursue God through the skills that they have been given. To continue to serve the Church we need to continue to develop and bring on board new people. We can only continue to be relevant if we have people within us who have a passion to worship God.